Glasswing Therapy offer high-quality, flexible Support Coordination for participants of the National Disability Insurance Scheme (NDIS) in the Northern Rivers and Gold Coast regions. We can help you achieve what is in your NDIS Plan if you are funded for Supports Coordination (or Coordination of Supports). Do you have questions about support coordination? Our support coordinator is independently contracted, which means your personal support coordinator will work for you, helping you to learn to do more yourself. You will also get help to find and hire the support workers you really want, and realise the potential of the NDIS. We’re connected with a large network of services and organisations in the Northern Rivers and Gold Coast regions that can support you, broaden your network and realise your goals. We put you at the center of what we do and how we work. We identify your life goals and together design and plan a range of individually tailored supports and services. 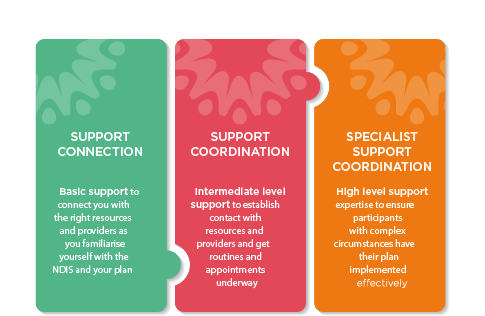 Our NDIS Support Coordination service connects you to those networks and organisations in the community that will work with you to enable you to realise your goals. Our goal is for you and your family to get the most out of life. And our support coordination service is in place to enable you to achieve it. What exactly is NDIS Support Coordination? How much does Support Coordination cost? 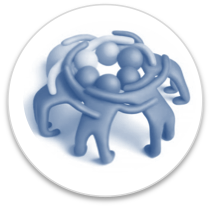 Support Coordination is an additional funded item – and is not deducted from your direct supports. You must ask for and justify the need for Support Coordination in your NDIS assessment planning meeting, with the aim to be allocated a specific and separate budget for this service type. - $280 for the initial appointment, which includes 2 hours with a support coordinator + a detailed written plan to bring with you to your initial NDIS planning meeting. This is an investment to ensure you get the most out of your NDIS planning meeting. - $120/hr for subsequent appointments. Assistance to strengthen participant’s abilities to coordinate supports & participate in the community. This includes resolving points of crisis, developing capacity & resilience in a participant’s network & coordinating supports from a range of sources. Further qualifications/experience required to strengthen a higher needs participant’s ability to coordinate their supports & participate in the community. This may include resolving points of crisis, & developing resilience in the participant’s network. Time limited support coordination, within specialist framework necessitated by high risks in participant’s situation, to address barriers and reduce complexity in environment, assisting to connect with supports, build capacity and resilience. This is rarely funded: only in exceptional circumstances. Specialised assistance for participant with high support needs or complex needs to find an Specialist Disability Accommodation dwelling. How many hours of Support Coordination can I get? NDIS participants can get anywhere between 10 hours to 200 hours per year for support coordination. As with all other supports, if participants go into the planning meeting with a very clear goal for how they will use their funded supports, the Planner will have a much easier time approving them. Why do I need Support Coordination in my NDIS Plan? Having Support Coordination in your plan means you have a CCNB team member to work with you to implement your plan and identify the range of services required to meet your needs. What are the benefits of using Glasswing Therapy for Support Coordination? Having an expert working for you who has extensive and current knowledge of local services and the support system. Having an unbiased, independently subcontracted advisor who is intent on building your capacity for independence, provide better supports and help you get the most out of your NDIS Plan. Glasswing Therapy provide a free pre-planning service for those who are applying for NDIS funding.